Chalcedony is said to be a stone for calming and centering, dispelling worry. 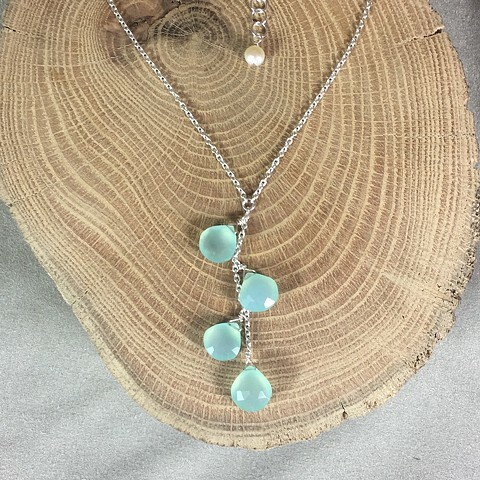 These soft blue-green chalcedony teardrop shapes are faceted and approx 1/2" in height, falling beautifully in a gentle and elegant cascade on sterling silver chain. Approx. 16" length with 2" sterling extender chain. Sterling lobster claw closure.